With one foot in Europe, the other in Asia and bordering on the Middle East, Turkey is a spicy mix of oriental splendor, mystery and modernity steeped in history. 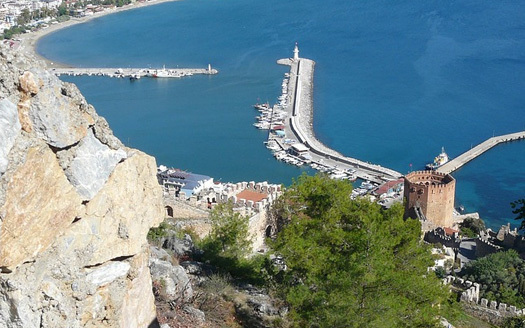 The country is surrounded by sea on three sides but the most popular resorts are to be found on the South West coast – stretching from Izmir, via Kusadasi, Bodrum, Marmaris, Fethiye and Kas to Antalya – this is an ideal cruising ground with many gulfs and bays to explore. It is also a journey back in time, with a plethora of archaeological sites, castles and temples. This costline is magnificent; sailors and water sports enthusiasts are lured by the warm waters, Mediterranean climate, peaceful harbours, golden sandy beaches, and steady winds, not to mention the lively nightclubs and hectic bars!